dmClub was formed to allow Communication companies to offer their customers, the very latest Communications services, under their own brand & relationship. dmClub is a commercial operation, but seeks to set an atmosphere of professionalism, friendliness and helpfulness. 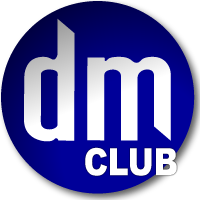 dmClub was founded in 1999, and has 100's of participating companies. dmClub is owned by a private company who has its own customers on dmClub, but operates as an equal member with the other participating companies. Customers of these companies are entitled to membership of dmClub. This includes their personal clubhouse, right to enjoy certain services, technical support, latest news. Simplicity: dmClub services should be simple to use. dmSupport: members can click in any ideas, questions, complaints, suggestions from their Clubhouse or the services, and we will quickly reply. dmNotes: we have prepared a small library of information, based on our experience using the services ourselves, and from dmSupport to help members. dmKnowHow: is a series of seminars, given by experts, live over the telephone, with time set aside for the formal presentation on a subject, informal chat and questions. This is under development, and will evolve in 2008/9.